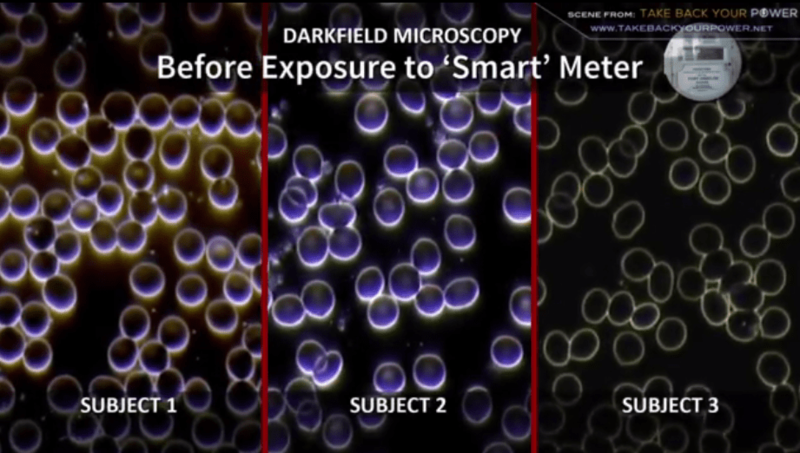 For those who wonder if there are any health issues or problems from exposure to Smart Meters and the electromagnetic frequencies they emit, here is a short video which shows three samples of blood examined using a Darkfield Microscope. The video is self-explanatory, as the samples clearly show morphological responses or reactions. 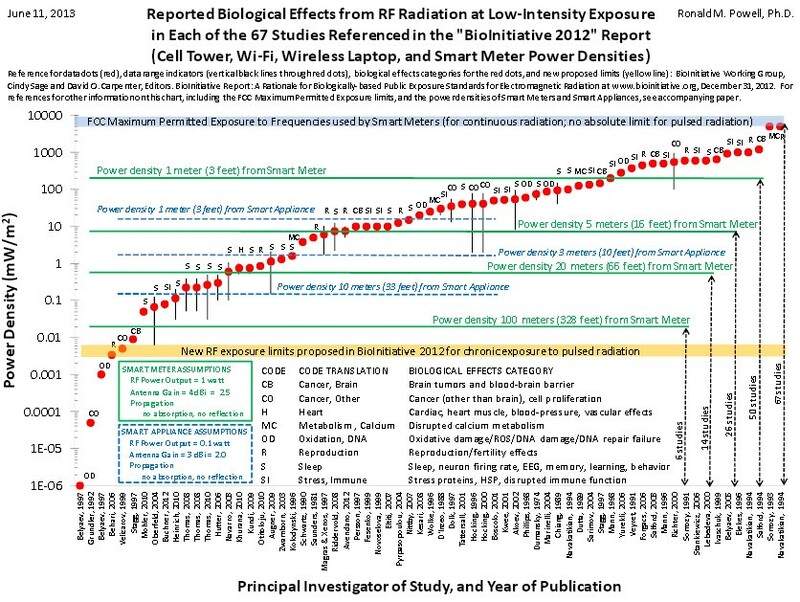 That kind of constant exposure with apparent human cellular morphological reactions—as will happen when a Smart Meter is placed on a dwelling—undoubtedly occurs, as EMFs/RFs are emitted 24/7/365. Consequently, it will be only a matter of time, depending upon each individual’s electromagnetic sensitivities threshold, before adverse health consequences materialize. Fukui Gov Issei Nishikawa will soon give his consent for the restart of two nuclear reactors in the prefecture on the Sea of Japan coast, sources close to the matter said Sunday, as the central government seeks to bring more reactors back online after the 2011 Fukushima nuclear crisis. The governor will visit the site of the Nos. 3 and 4 reactors at Kansai Electric Power Co’s Takahama plant on Monday to check safety measures before expressing his consent, they said. 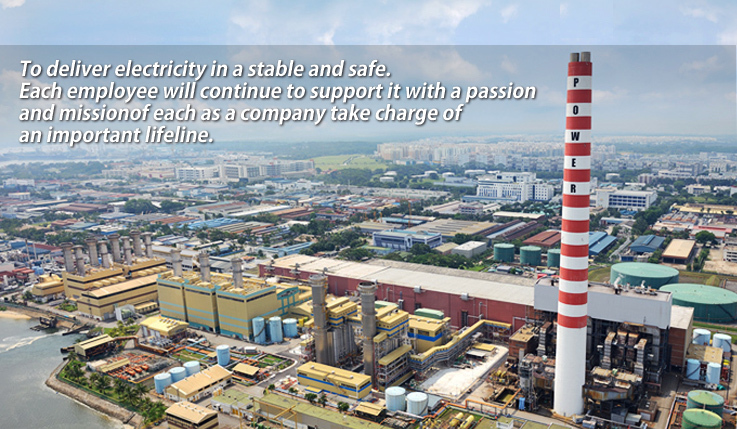 The governor’s consent is necessary to restart the reactors. Earlier in the day, industry minister Motoo Hayashi, in charge of the country’s energy policy, met with Nishikawa at the Fukui prefectural office and sought the Fukui governor’s consent for the restart of the two nuclear reactors. Radiation from the 2011 Fukushima nuclear disaster in Japan has been detected at an increased number of sites off U.S. shores, including the highest level in the area detected to date, scientists announced Thursday. While the levels are still too low to be considered a threat to human or marine life by the government’s standards, tests of hundreds of samples of Pacific Ocean water reveal that the Fukushima Daiichi plant has continued to leak radioactive isotopes more than four years after the meltdown—and must not be dismissed, according to Woods Hole Oceanographic Institution (WHOI) marine radiochemist Ken Buesseler. 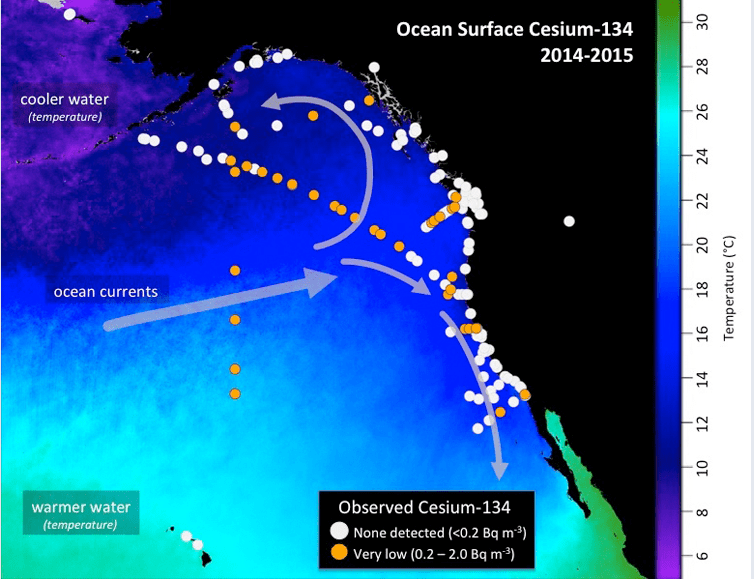 Scientists from the WHOI and Buesseler’s citizen-science project Our Radioactive Ocean discovered trace amounts of cesium-134, the “fingerprint” of Fukushima, in 110 new Pacific samples off U.S. shores in 2015 alone. The isotope is unique to Fukushima and has a relatively short two-year half life, which means “the only source of this cesium-134 in the Pacific today is from Fukushima,” Buesseler said. “[T]hese long-lived radioisotopes will serve as markers for years to come for scientists studying ocean currents and mixing in coastal and offshore waters,” Buesseler continued. The 2011 accident, prompted by an earthquake and tsunami off Japan’s east coast, was the world’s worst nuclear disaster since Chernobyl in 1986 and resulted in the near-total meltdown of three nuclear reactors at the Fukushima plant and a mass evacuation of the prefecture. Despite ongoing warnings about long-term health and environmental impacts and widespread opposition to nuclear power in the wake of the meltdown, Japan in August restarted a reactor at the Sendai power plant, about 620 miles southwest of Tokyo. ST. PETERS, Mo. 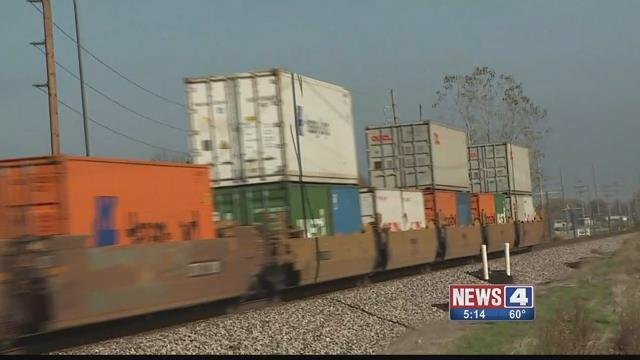 (KMOV.com) – Residents in St. Charles County are familiar with seeing trains. Locomotives roll through the county several times a day, but a topic under discussion involving the Westlake Landfill has some on edge. If a decision is made to remove radioactive waste from Westlake, railways could end up transporting it. A derailment is always a risk near any set of tracks, but if train carrying radioactive waste is the one that derails, it could be a catastrophe. Japan’s nuclear regulator is set to call on science minister Hirosi Hase to replace the operator of the country’s prototype fast-breeder Monju reactor. The Nuclear Regulation Authority made the decision at a meeting on Wednesday, based on its view that the current operator, the Japan Atomic Energy Agency, is unfit for the job. It says the operator of the Monju reactor in Fukui Prefecture has failed to improve its safety. The NRA will also ask the minister to fundamentally review the reactor’s status if a new operator cannot be found. It wants the minister to name an alternative operator within about 6 months. The nuclear regulator ordered the Atomic Energy Agency 2 years ago not to conduct test-runs at Monju, after a large number of safety oversight problems surfaced. New problems with its safety management were found even after the reactor went offline. The NRA is authorized by law to offer unbinding recommendations to the heads of government ministries and agencies in order to ensure the safe use of nuclear power. This is the first time the authority has decided to issue such a recommendation since it was established 3 years ago. The operator of the Tsuruga nuclear power plant in central Japan is to apply for screening of one of its reactors to put it back online. The Nuclear Regulation Authority concluded in its assessment in March that the No.2 reactor on the Sea of Japan Coast in Fukui Prefecture stands directly above a fault, and could move in the future. The unit may be forced to shut down permanently. Japan adopted tougher regulations that ban construction of reactor buildings and other key structures above such faults after the 2011 Fukushima Daiichi nuclear disaster. The Japan Atomic Power Company says it challenges the assessment of the nuclear regulator, and will apply for a safety screening on Thursday. 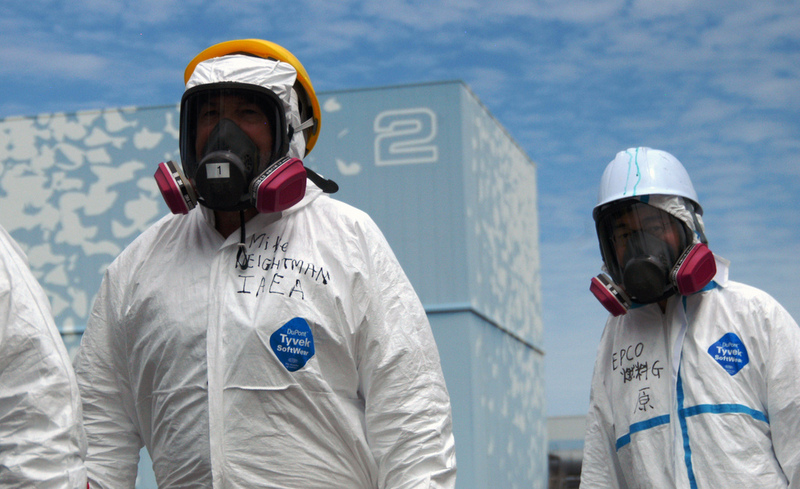 The screening is a prerequisite in resuming operations of reactors that remain offline following the nuclear disaster. The operator compiled reports on its new findings after carrying out fresh drilling surveys and other on-site studies. It argues it found that the fault that the nuclear regulator has concluded may shift in the future has not been active for many years, and said that the fault will remain inactive in the future. Japan’s Nuclear Regulation Authority secretariat has found the operator of a uranium enrichment plant in Aomori Prefecture stored radioactive waste in a location that violated safety regulations. The plant enriches uranium for nuclear power generation. The Secretariat of the NRA is expected to ask Japan Nuclear Fuel Limited to remedy the situation. The secretariat says the violation was discovered in August during an inspection of the plant in northeastern Japan. It says the operator has been storing low-level radioactive waste temporarily in a room near equipment used to produce enriched uranium. The secretariat says the location is in violation of safety regulations. The operator later moves the waste to a location that meets safety regulations. But the secretariat says the temporary storage place is in violation of regulations. It is expected to ask the operator to correct the situation. Officials at Japan Nuclear Fuel Limited say the plant made its own rules for temporary storage. They say there have been no leaks of radioactive substances. The officials say they will store the waste in a proper way in the future. (NaturalNews) A five-year fire is burning beneath a landfill in a St. Louis suburb, and it’s rapidly approaching an old cache of nuclear waste. Nothing stands in the way of the uncontrollable landfill fire, which is smoldering hot underneath the trash of the West Lake Landfill of Bridgeton County, St. Louis. This “smoldering event” is not uncommon. Fires ignite and smolder under landfills because the trash becomes so compact and hot. In this case, the fire is brewing less than a quarter mile from an old deposit of nuclear waste that threatens to spread cancer-causing radon gas. Surprisingly, the Environmental Protection Agency (EPA) isn’t taking the situation very seriously. EPA officials admit that although the waste may eventually emit radon gas, it won’t affect anything outside the landfill property. This is the same EPA that polluted the Colorado River with 3 million gallons of toxic sludge full of lead, arsenic and other heavy metals. EPA contractors breached a mine, sending the sludge flowing into the Animas river, which quickly turned putrid and murky. 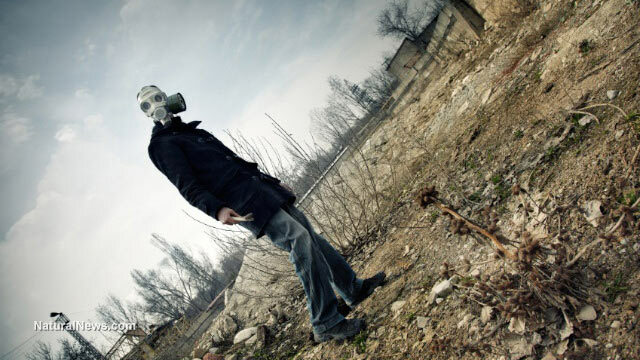 That pollution has now spread to New Mexico, Utah and Arizona, infiltrating the countryside with toxic elements. Why should anyone in St. Louis County trust the EPA with radioactive waste? To make matters worse, the EPA isn’t even worried about the fire reaching the nuclear waste. “We just do not agree with the finding that the subsurface smoldering event is approaching the radiologically impacted material,” said Mary Peterson, director of the Superfund division for EPA Region 7. There have been no plans to remove the radioactive waste as of yet, leaving local residents baffled and worried. Most residents were unaware of the existence of the radioactive waste, which had been dumped there illegally four decades ago. If it weren’t for activists educating the public about the waste, no one would know. The radioactive waste includes 8,700 tons of leached barium sulfate residue. It was illegally dumped in the West Lake Landfill by Cotter Corporation sometime after World War II and wasn’t discovered by investigators until 1973. The radioactive waste was left behind due to the mishandling of uranium by Mallinckrodt Chemical Works, a company that started out working for the federal government’s Manhattan Project. The agency reported that radon levels in the area are often measured above regulations “by as much as 10 to 25 times at individual surface test locations.” Moreover, radium increases people’s risk of developing bone, liver and breast cancer. The EPA is downplaying the potential for a Chernobyl or Fukushima-like disaster, but residents have every reason not to trust the agency’s guesswork, given its decades-long refusal to safely remove the radioactive material from the area. More than 40 years ago, radioactive waste was dumped at the West Lake Landfill in Bridgeton. The decades since have been filled with legal and political moves that have not gotten the site cleaned up. Now a growing number of residents want to know how dangerous it is to live and work in the area as a fire burns underground in the adjoining Bridgeton Landfill. More than 500 people showed up at a Bridgeton church on Thursday for a meeting organized by residents. The monthly meetings held for the last two years typically attract no more than 50. 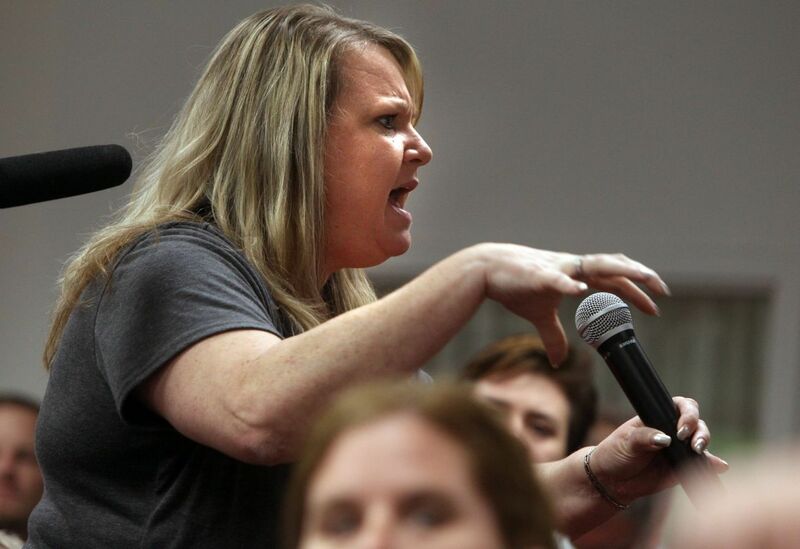 The surge in public interest comes after state reports showed the fire is moving toward the nuclear waste, and radioactive materials can be found in soil, groundwater and trees outside the perimeter of the landfill. At least six school districts have sent letters home in the last week outlining their plans for a potential nuclear emergency. St. Louis County recently released its own emergency evacuation plan that was written last year. Underground fires are common in landfills as buried garbage can get hot, much like the bottom of a compost pile. Typically they are monitored and allowed to burn out. But none of the fires have gotten so close to nuclear waste, which was created during the World War II era for St. Louis’ part in the production of the atomic bomb. Will the ‘stricter regulations’ serve as protection? Protesters called the decision to bring No. 2 online a “suicidal” decision, as a steam generator in the reactor building has not been replaced with a more durable one. Kyushu Electric Power Co. had said it would replace the generator in 2009. Mainstream media outlets are systematically disregarding the hazardous health impacts of widespread U.S. military burn pits on civilians in Iraq and Afghanistan, thereby playing a direct role in “legitimating the environmental injustices of war,” a harrowing new scholarly report concludes. “During the Iraq and Afghanistan wars, the US Department of Defense burned the majority of its solid waste in open-air pits or trenches, producing large amounts of potentially hazardous emissions,” noted Eric Bonds, assistant professor of sociology at University of Mary Washington, in his investigation, published in the journal Environmental Politics. “It is well known that the uncontrolled burning of plastics, Styrofoam, electronics, unexploded weapons, and other manufactured and highly processed materials releases harmful toxins and particulate matter into the air,” Bonds continued. However, when he surveyed major U.S. newspaper stories from 2007 to 2014, Bonds found that discussions of the negative health impacts of these burn pits overwhelmingly focused on the plight faced by U.S. military service members and veterans—but the actual civilians nearby were almost entirely missing from the picture. “The search produced 49 distinct stories. While five of these stories made passing reference to civilian impacts, and one story mentioned potential impacts to civilians on par with impacts to soldiers, the vast majority of news stories made no mention that Iraqi and Afghan civilians might also have been harmed by the U.S. military’s burning of waste,” he wrote. As Common Dreams previously reported, Dr. Mozhgan Savabieasfahani, independent environmental toxicologist based in Ann Arbor, Michigan, has identified a correlation between burn pits and spikes in birth defects among Iraqi communities nearby. “This echoes the other history of Agent Orange when the U.S. government turned its back on the people of Vietnam and walked away, cleaning up just a handful of contaminated places but never acknowledging harm done to Vietnamese civilians or compensating them for their suffering,” Bonds told Common Dreams. As in Vietnam, people in Iraq and Afghanistan are demanding acknowledgment of—and reparations for—the harm done by U.S. burn pits and toxic munitions. Iraqi civil society groups including the Organization of Women’s Freedom in Iraq and the Federation of Workers Councils and Unions in Iraq have organized within their communities and levied international demands for the U.S. to clean up its burn pits, depleted uranium, white phosphorous, and other toxic waste which is creating an ongoing public health crisis in Iraq. HAZMAT in USA on Wednesday, 14 October, 2015 at 03:19 (03:19 AM) UTC. Not a very smart thief, stealing lab tools contaminated with radiation from Los Alamos National Laboratory. Investigators believe a LANL contractor might have done just that, and put the public at risk in what is just the latest problem with theft at the high security lab. Los Alamos Police are calling the man a “person of interest,” but not a suspect. Richard Atencio, an employee of Compra Industries, had total access to LANL’s Technical Area-54, which is a radioactive waste storage area. The incident started as a theft, but quickly turned into a full-on HAZMAT situation last month. According to a search warrant, on September 29, a witness saw a man in a brown shirt throwing things out of the trunk of a Honda Accord into bushes on LANL grounds. The man was tossing the things across the way from TA-54, where items have been reported missing over the past year. Los Alamos Police came out to the scene of the dump and found a laundry list of stuff. One of the items, a band saw, had “TA-54” on it, meaning it was likely contaminated. Turns out, it was, along with a pair of gloves and a bag. Police tracked down Richard Atencio, who was wearing a brown shirt and owns a Honda Accord. When officers searched Atencio’s Accord, they noticed his trunk carpet was missing. A HAZMAT sweep of his car found radiation levels on Atencio’s steering wheel, gear shift and passenger door. The FBI then searched Atencio’s Española home on October 9, suspecting he might have contaminated his own stuff. No LANL property or radioactive items were found. Atencio has not yet been charged with anything. LANL didn’t comment on the thefts; the company that Atencio works for, Compra Industries, didn’t get back to KRQE News 13. The search warrant also revealed a disturbing fact, that there have been 76 reported cases of theft of LANL property by LANL employees in the last year. LOS ALAMOS, N.M. (KRQE) –Investigators believe a LANL contractor might have done just that, and put the public at risk in what is just the latest problem with theft at the high security lab. Not a very smart thief, stealing lab tools contaminated with radiation from Los Alamos National Laboratory.LOS ALAMOS, N.M.
Investigators believe a LANL contractor might have done just that, and put the public at risk in what is just the latest problem with theft at the high security lab. Los Alamos Police are calling the man a “person of interest,” but not a suspect. Richard Atencio, an employee of Compra Industries, had total access to LANL’s Technical Area-54, which is a radioactive waste storage area. The incident started as a theft, but quickly turned into a full-on HAZMAT situation last month. According to a search warrant, on September 29, a witness saw a man in a brown shirt throwing things out of the trunk of a Honda Accord into bushes on LANL grounds. The man was tossing the things across the way from TA-54, where items have been reported missing over the past year. Los Alamos Police came out to the scene of the dump and found a laundry list of stuff. One of the items, a band saw, had “TA-54” on it, meaning it was likely contaminated. Turns out, it was, along with a pair of gloves and a bag.